Supports the immune system and tissue growth. 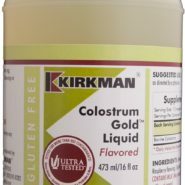 Kirkman’s Colostrum Gold™ is obtained from hormone-, pesticide- and antibiotic-free cows only during the first 24 hours after they give birth. 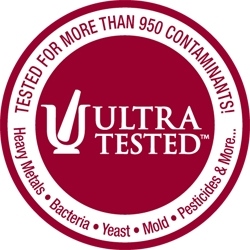 A multiple filtration process insures that the casein content of Kirkman’s colostrum is at a very low level of 1000 parts per million or less. FREE OF: Sugar, soy, wheat, gluten, egg, preservatives, yeast, gelatin, artificial flavorings or colorings, peanuts, tree nuts or fish. 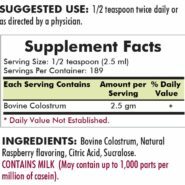 INGREDIENTS: Bovine Colostrum, Natural Raspberry Flavoring, Citric Acid, Sucralose. 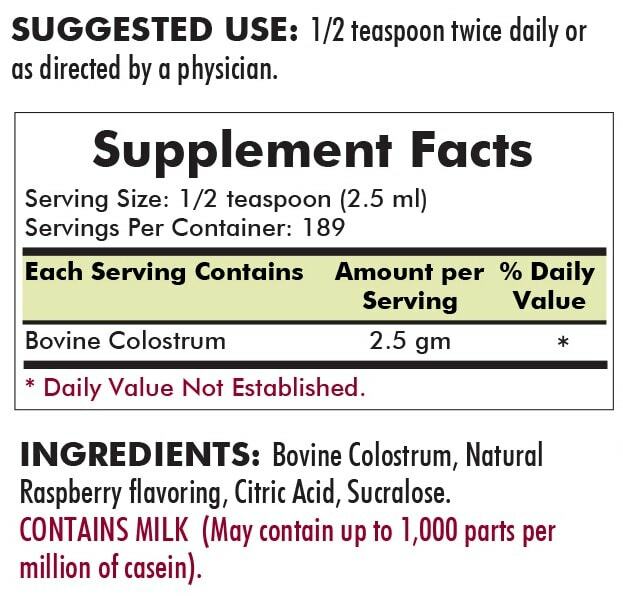 CONTAINS MILK (May contain up to 1,000 parts per million of casein). WARNINGS: CONTAINS MILK. REFRIGERATE AFTER OPENING. 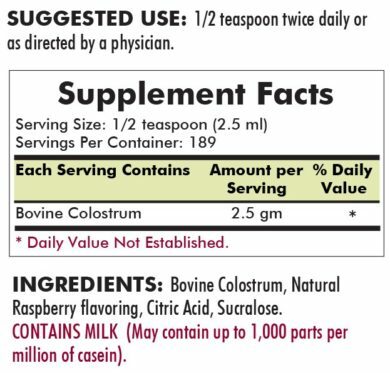 COLOSTRUM IS A NATURAL SUBSTANCE.COLOR MAY VARY FROM LOT TO LOT. KEEP OUT OF THE REACH OF CHILDREN.